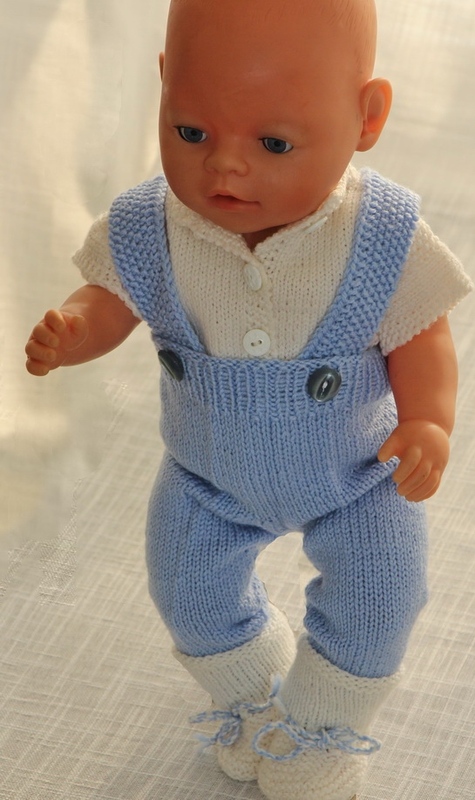 I knitted these clothes in light blue and white, lovely colors for a little doll boy. 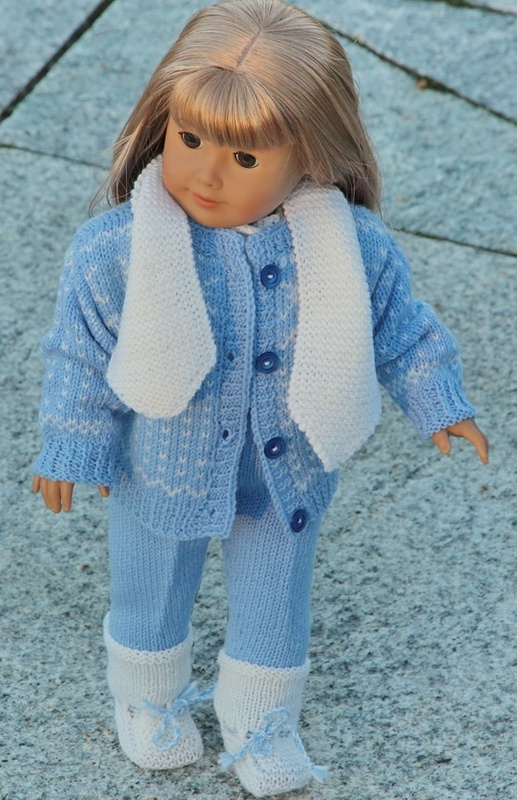 You can as well knit these clothes for a little girl doll in pink and white ... a gorgeous little princess! 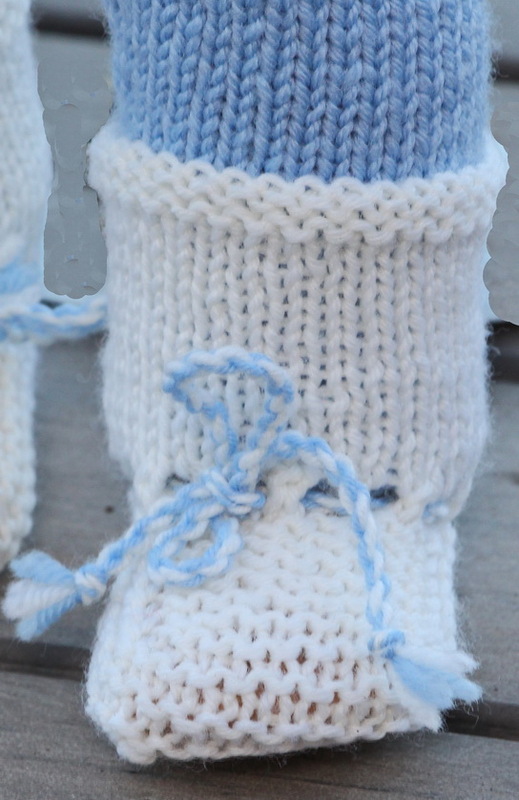 I looked for patterns and I found these small snow crystals. 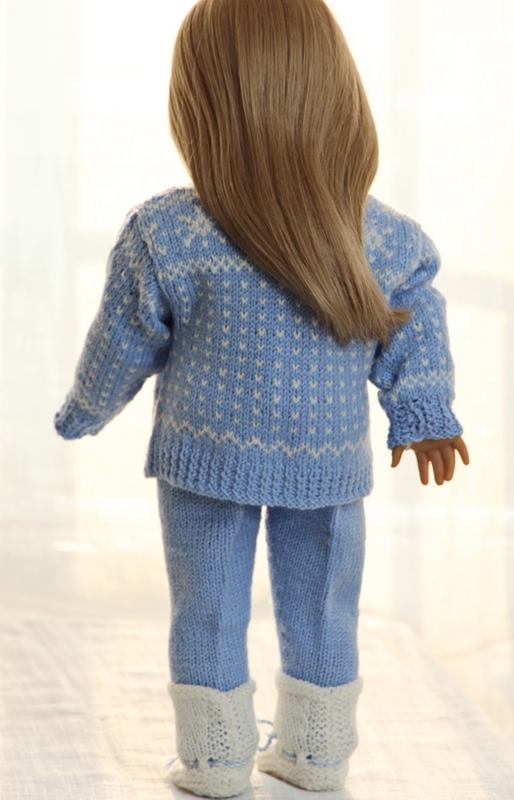 To be mixed with small borders and spots this sweater for my doll Paal turned out very nice. 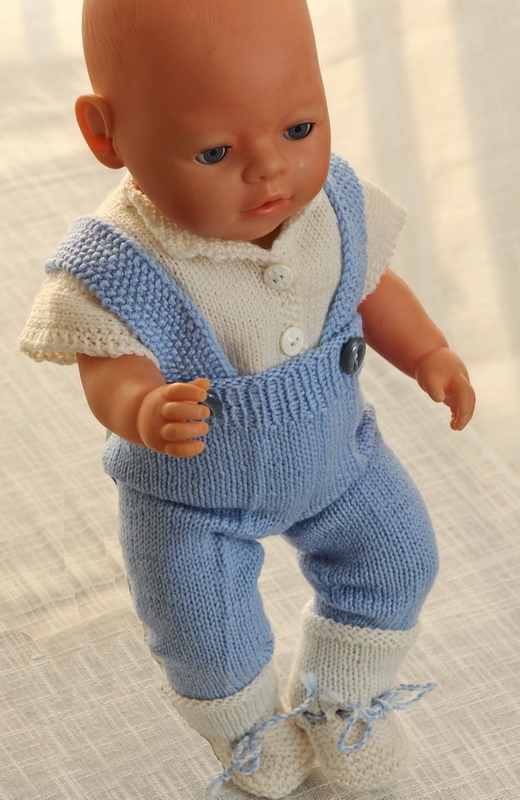 ... a light blue pants with braces and foot straps knitted in moss stitch. 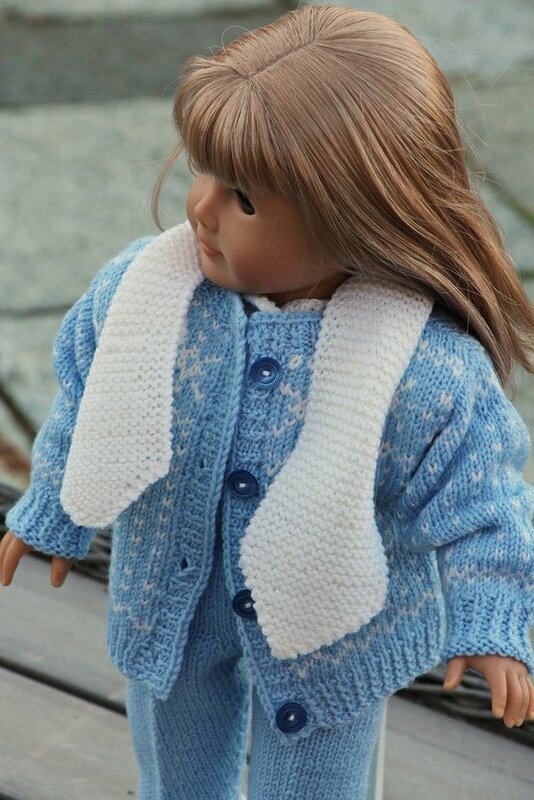 ... a warm scarf and good socks the doll boy Paal is beautiful dressed for cold days! 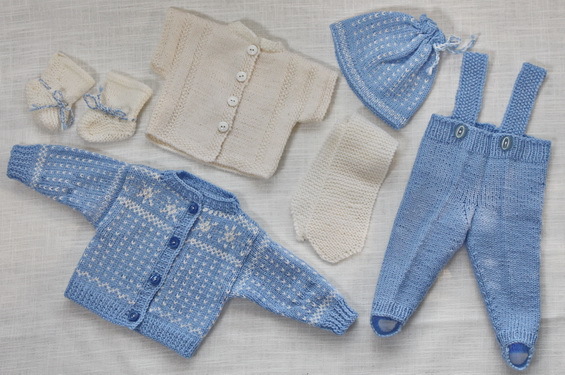 Now I hope you too will enjoy knitting these clothes for your little doll! 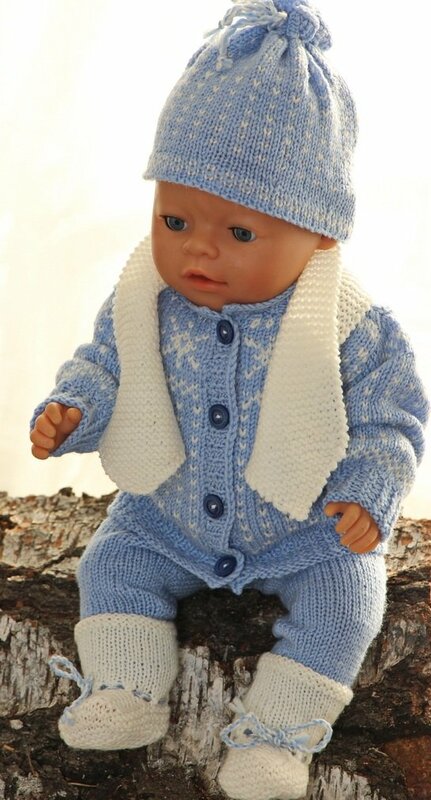 A warm hat with white snowflaces belongs to these clothes. 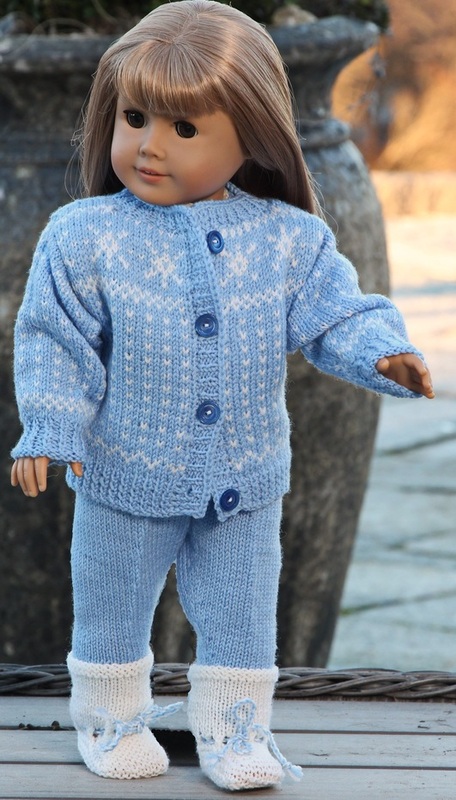 Together with a warm scarf and good socks the doll boy Paal is beautiful dressed for cold days!